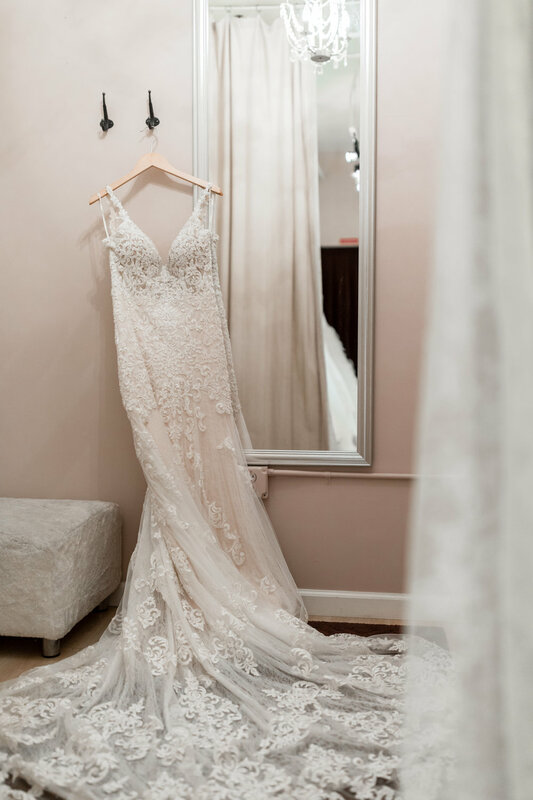 The Ivory Suite Bridal Boutique provides an intimate setting to focus on you and your dream. We understand every bride possesses her own unique style so we offer personalized support and honest advice in all aspects of her decision making. Your individuality is very important and we will commit to finding a gown that embodies you on your special day. Each designer gown is hand selected and most can be customized to fit your needs. They are carefully handcrafted from the finest fabrics and silks, and exclusive for our brides. A designer label on a wedding gown is like a signature on a work of art. Every designer stands alone in vision and method — unique and worth the investment. Our exquisite gowns range from $1500 - $4500. Gina and Nicole first met many years ago while entering middle school in South Pasadena. Since that young age they have had the privilege of sharing countless memories, and all of life's changes and events with one another. The location of their new bridal boutique has always been "home" to them and is a place they returned to after some years of being away. The appeal and quaintness of South Pasadena was a perfect place to open a bridal boutique whose philosophy reflects Gina and Nicole's dedication to serve each and every bride, and approach each woman as someone who has a unique and special purpose. With a background in design, Gina was determined to embody a boutique belonging to unique designer and couture bridal gowns. Combined with Nicole's natural customer service ability, a perfect blend of attributes cultured the essence of The Ivory Suite Bridal Boutique. The Ivory Suite strives to make every bride, along with her family and friends, feel welcome and respected.